Presidents’ Day is coming up and we’re getting ready by doing some great Presidents’ Day projects in the classroom. 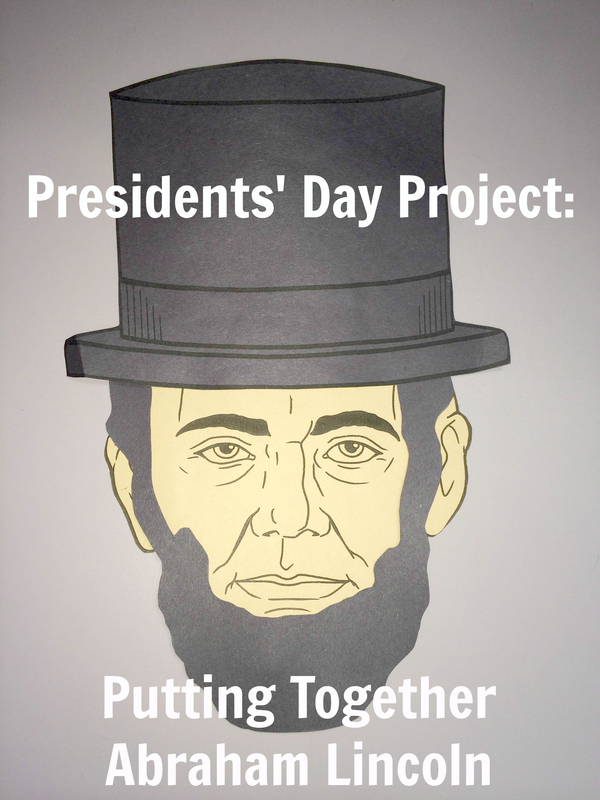 Try out this Putting Together Abraham Lincoln project for kindergarten through 3rd grade students. We created mini books in the shape of President, Abraham Lincoln’s face. How fun is that? We paired history with this fun project by adding fun facts behind it. Here are the step-by-step instructions. 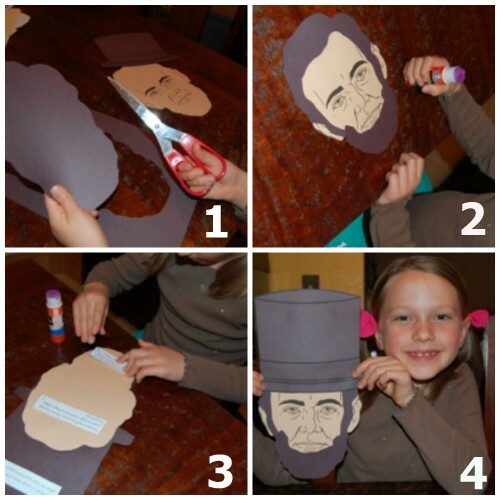 Make copies of the Lincoln templates for each student. Cut out the templates, then trace them on construction paper as follows: hair and hat on black paper, and face on manila paper. Glue the hair and hat onto the face. Turn the face over and glue Lincoln fact #1 on the hat, fact #2 on the top of the head and fact #3 on the bottom of the head. Show off your your Abraham Lincoln and enjoy the fun facts! 1st, activity, books, classroom, Day, first, grade, kindergarten, project, second, u.s., u.s.a.